Happy Memorial Day! First and foremost, I would like to give a huge THANK YOU to all the men and women who have served or are currently serving in our armed forces. America’s people are free because of you. This Memorial Day weekend was spent in Chicago, IL for my cousin’s high school graduation. 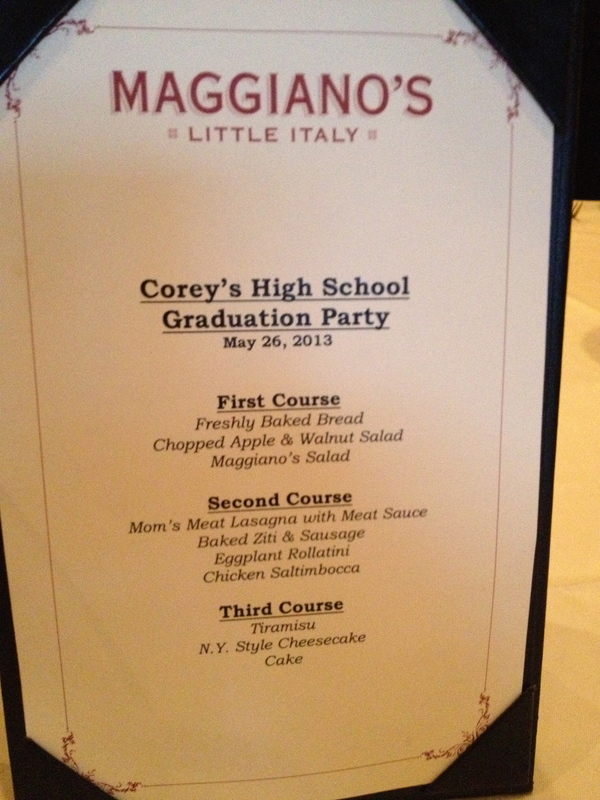 No one loves the actual graduation ceremony, but it is so special to celebrate one of the greatest accomplishments! I was 7 when my cousin was born and I have seen him grow up into a wonderful young man. Boy, how time flies!! 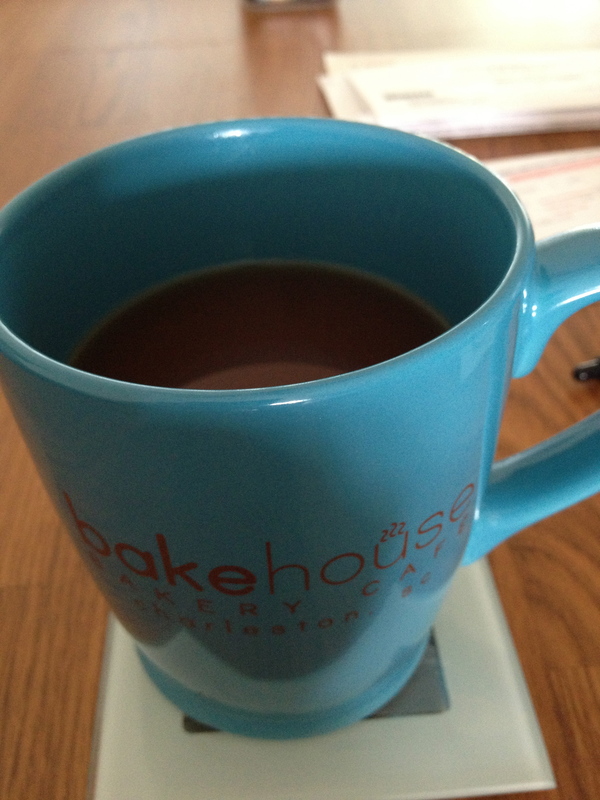 FRIDAY – Working from home is a large perk of my current job. I am taking a few online training courses and it’s so much nicer to do that from the couch then at a desk. The other positives, Keurig for breakfasts! 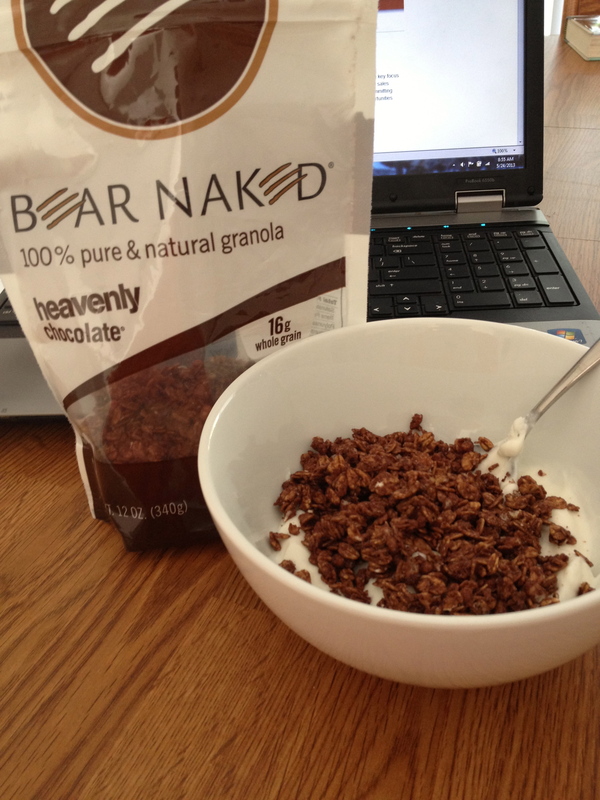 And for eats, some vanilla Chobani and chocolate granola. 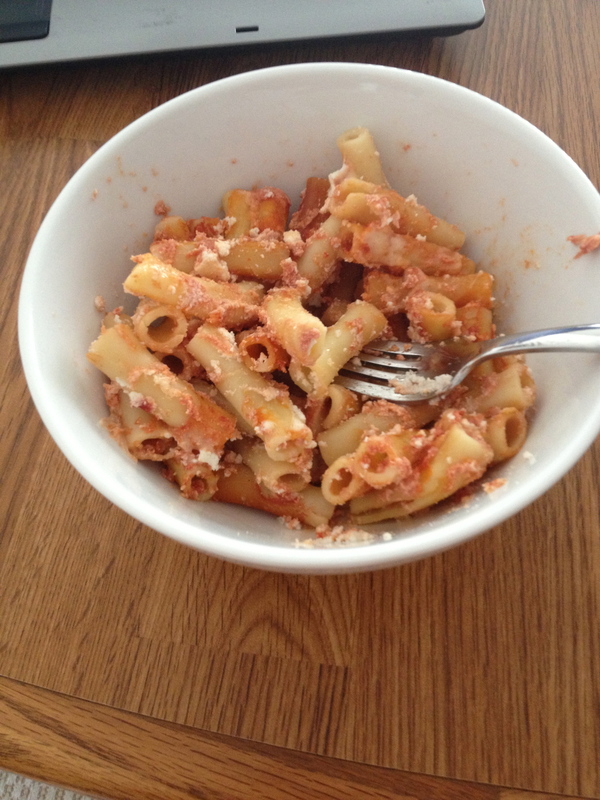 When lunch rolled around, I heated up some baked ziti. It was quite delicious. 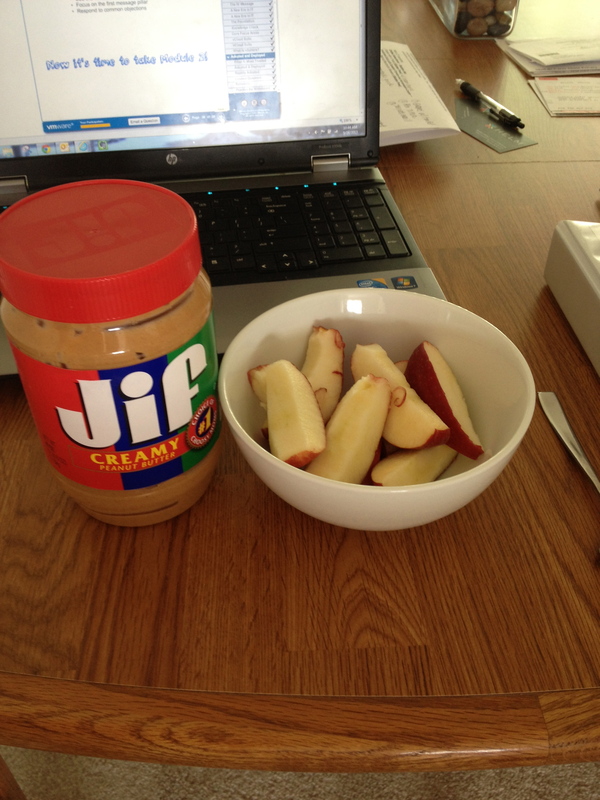 And then I had my favorite snack of all time – peanut butter and apples. When dinner time rolled around, neither of us wanted to cook. So, we got into the car and headed to Smash Burger. 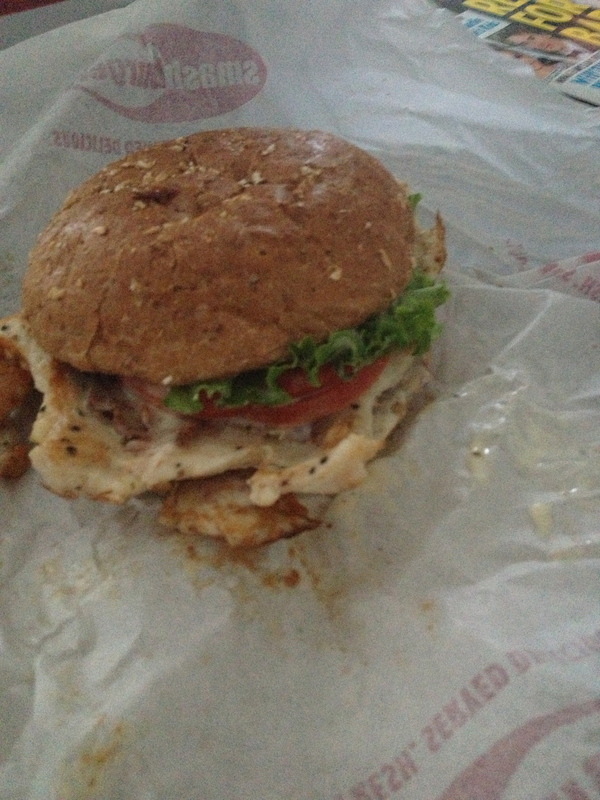 I ordered a grilled chicken cobb sandwich, which was supposed to have avocado on it! It didn’t. And, I’m still upset about it! But the sandwich was actually really, really good. I did have a few fries, too. The night was spent lounging on the couch and hanging out. We had an early morning the next day. SATURDAY – I woke up early for a Saturday (like 7:15) to run 10 miles. 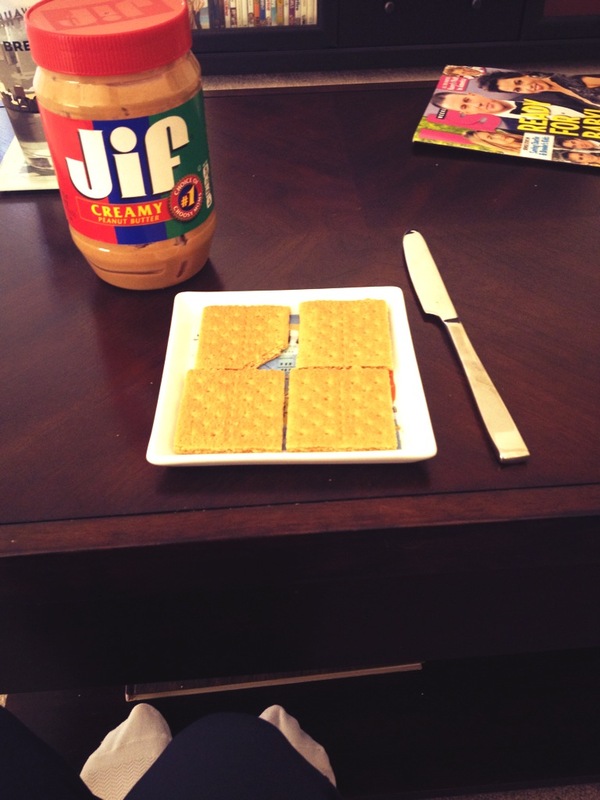 Before the run, I snacked on 2 graham crackers and some peanut butter. The run was great! It was only about 45 degrees and the sun was coming up, it was great. Once I hit mile 4.5, I was cruisin’. It’s definitely getting me excited for the race!! 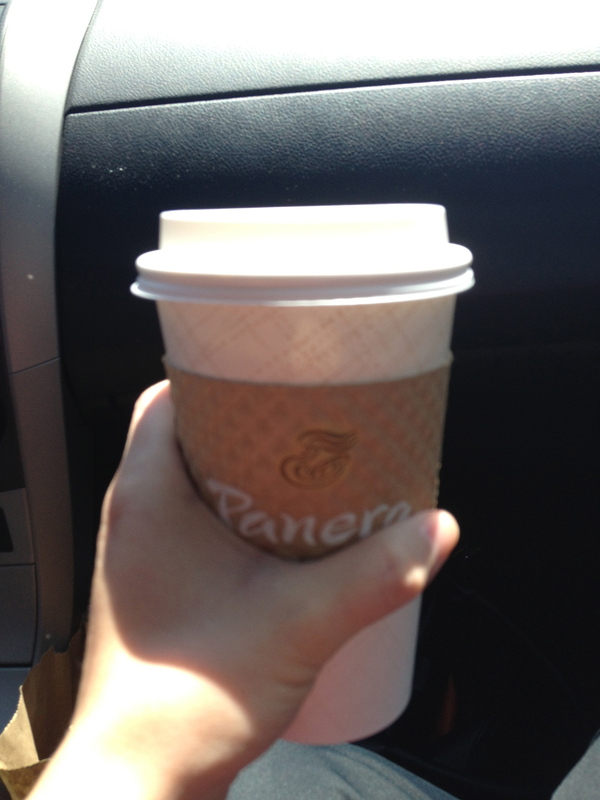 Then it was time to hit the road to Chicago….But first, a stop to Panera. I ordered a hazelnut coffee and a cinnamon scone. I only had a few bites of the scone but it was delicious! 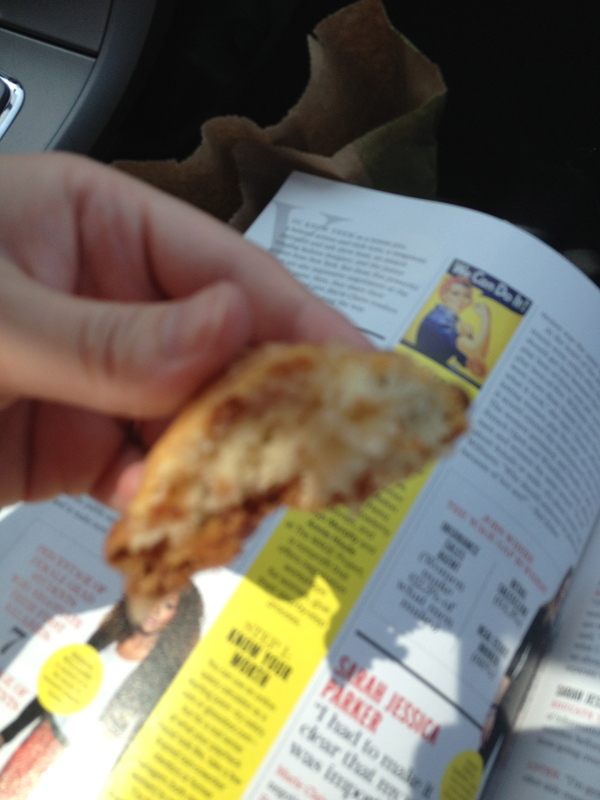 I ate my scone while reading the latest issue of Marie Clare. I love that magazine because it’s not just about fashion, it also reports on world issues. 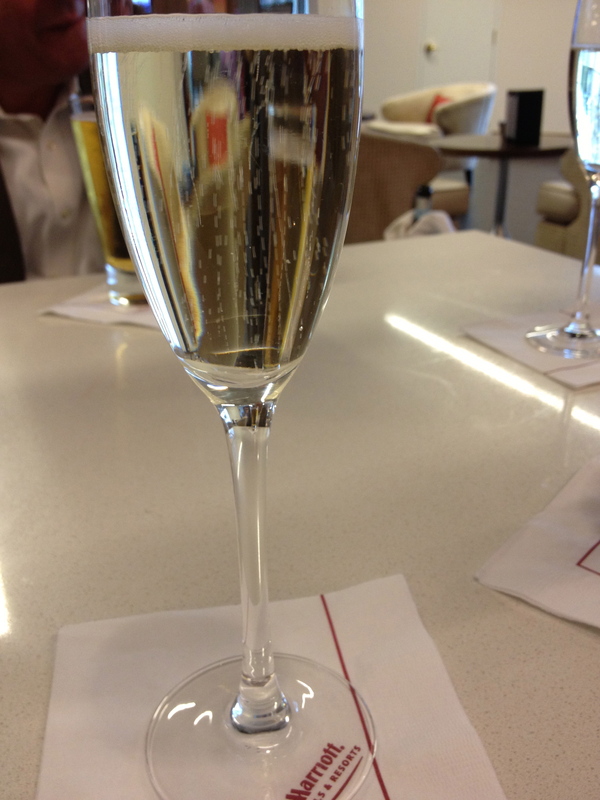 And then, 5 hours later, we arrived in Chicago!! When we got to my aunt and uncle’s house, we chowed down one appetizers, including hummus and corn dip. I also made myself 2 vodka tonics. Gotta love a full bar! Dinner was delicious, except I didn’t eat the main course. It was pulled pork sandwiches and BBQ sauce and my stomach just do not agree. 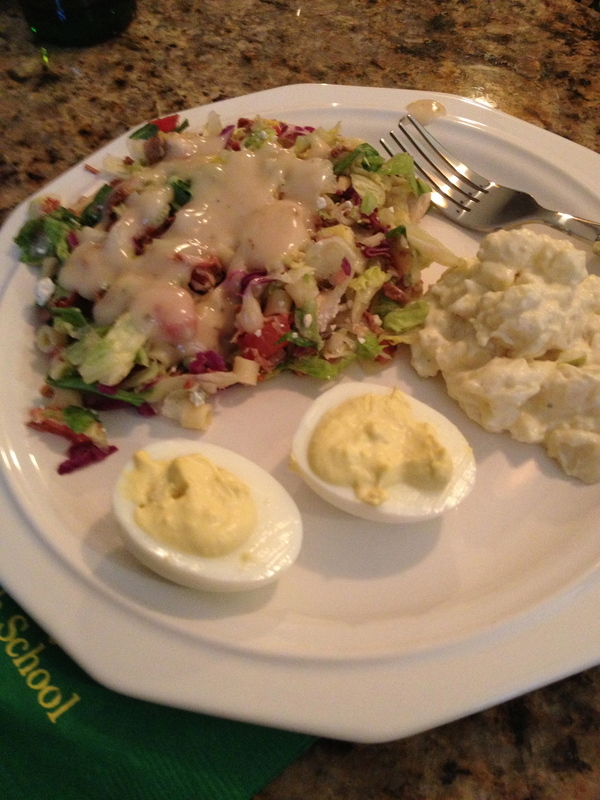 So, I had some Portillo’s salad, some potato salad and 2 deviled eggs. Of course, chocolate cake was devoured! SUNDAY – Graduation Day!! We awoke early in the morning and chowed down on some yummy breakfast! 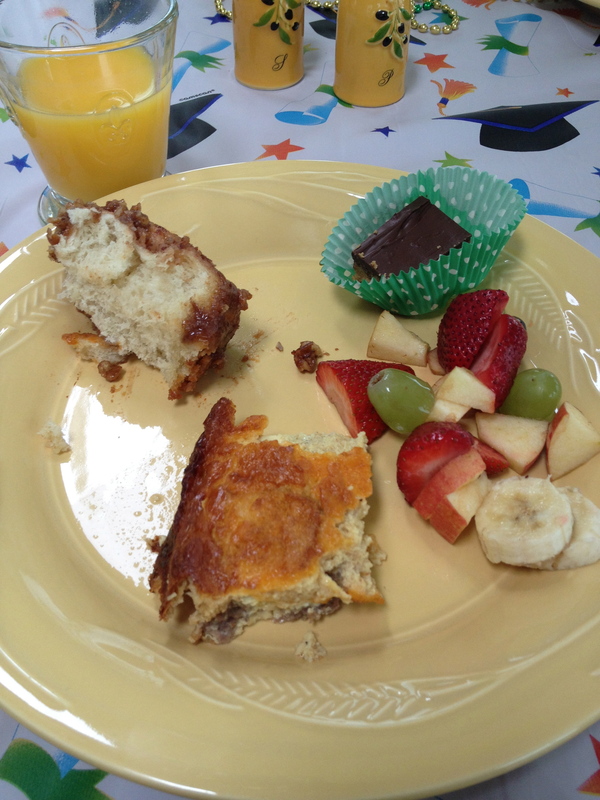 I had some egg bake, fruit, a little bit of monkey bread and a chocolate-covered peanut butter bar, with a side of orange juice. So yummy! Then we headed off to graduation, which was pretty long with 600+ kids in the class. With a last name towards the end of the alphabet, we made sure to bring snacks!!! 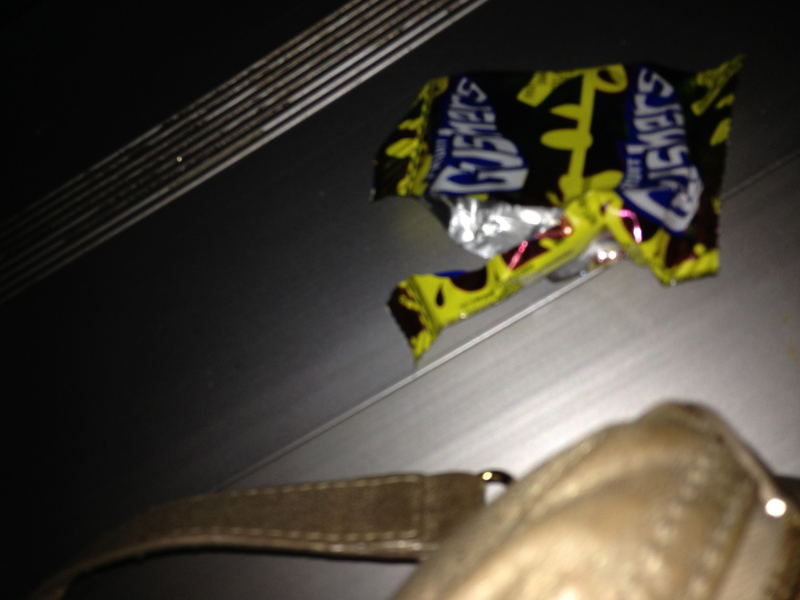 This picture shows the gushers wrapper under our seats…there were also some granola bar wrappers. Hey, we had to sit for a long time! My family and I went back to our hotel for some appetizers before heading over to my cousin’s graduation dinner. 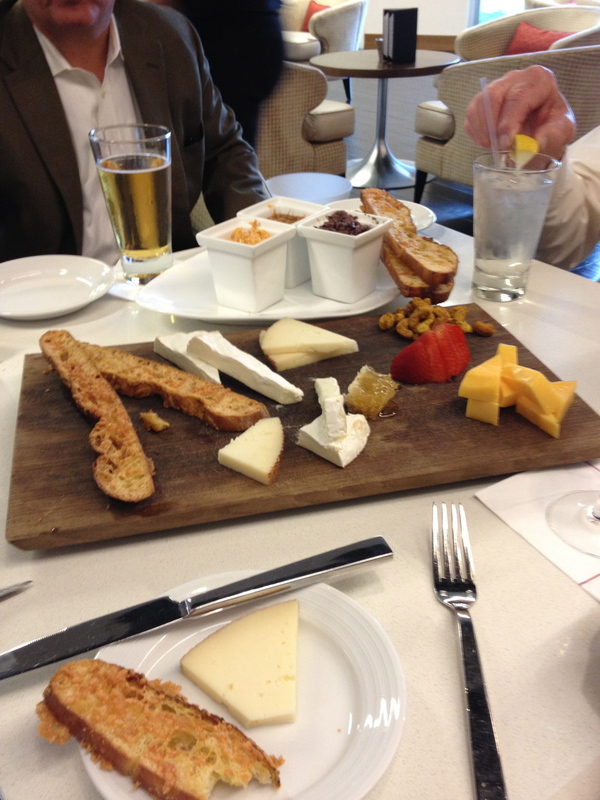 My mom, sister and I split a bottle of Prosecco and we ordered a cheese board and some hummus dips. I had a little bit of everything. It was amazing. It was great to sit around with family, tell funny stories about Corey and my uncle gave a heartfelt speech. It was relaxing and perfect! 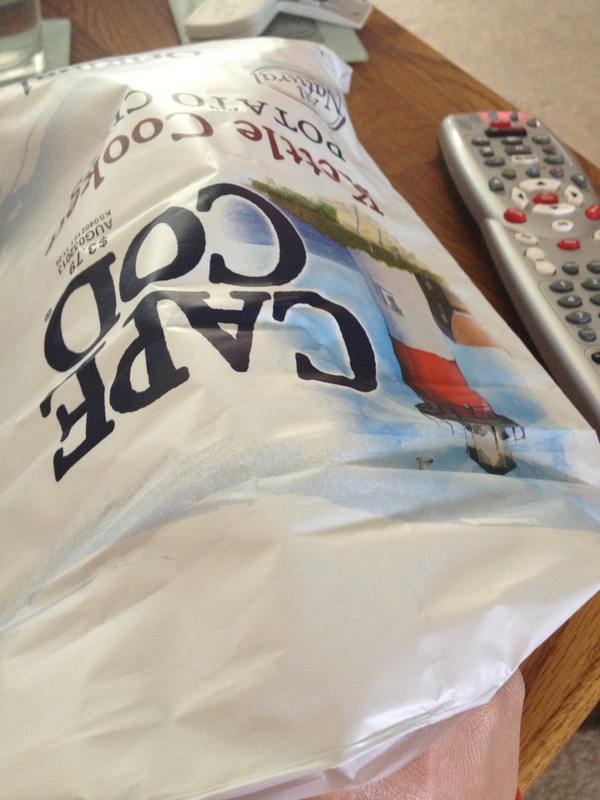 This entry was posted in meals, Training, Uncategorized and tagged long weekend, memorial day, running. Bookmark the permalink.